Kanu Nwankwo, better known simply as Kanu or Papiloo from a popular TV ad, is a retired footballer and former captain of the Nigerian national team, the Super Eagles. He also most notably played for Ajax, Inter Milan, and English Premier League club Arsenal. 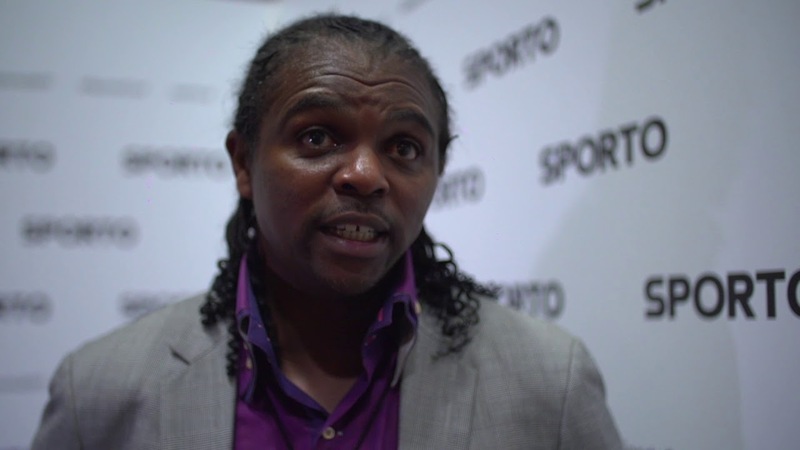 Kanu is regarded as one of the best players in African football history having won two African Player of the Year awards, the UEFA Champions League, UEFA Cup, Premier League, FA Cup, and Olympic Gold amongst others. Kanu Nwankwo was born on the 1st of August, 1976 in Owerri, Imo State, Nigeria. He is however originally from Arochukwu in Abia State. He began playing semi-professional football at the young age of 15 at a local club side called Federation Works before moving to the more established Iwuanyanwu Nationale. His performances caught the eyes of the Football Federation and Kanu was selected to represent his country at the 1993 FIFA Under 17 World Championships where his performances further got the attention of elite European clubs. After the tournament, Ajax made a play for Kanu’s signature and was successful. He signed on for the Dutch side and made his debut a year later in 1994, averaging a goal in every other game. He also made a substitute appearance in the 1994 Champions League final against AC Milan in which his team won. In 1996, after a series of heroic performances alongside players like Jay-Jay Okocha and Daniel Amokachi with the Nigerian team that won gold in the Olympic Gold in Atlanta, he signed for Inter Milan. For his efforts at the Olympics, Kanu was named 1996 African Footballer of the Year. A disappointing spell in Italy followed his earlier remarkable achievements with Kanu just making twelve appearances and scoring one goal throughout his time at the San Siro. It did not help that a serious heart defect which needed immediate surgery to replace an aortic valve was discovered during his medical examination at the club. Kanu signed for Arsenal in 1999 and was able to revive his career. At Arsenal, Kanu was known for his goal-scoring prowess as a substitute. He became very popular among fans of the club for his two-fingered salute that was based on the team’s nickname, The Gunners. He was again named African Footballer of the Year in 1999. While at Arsenal, he won the FA Cup in 2003 and the Premier League title in 2004. He played 197 games for the club, scoring 44 goals along the way. Along with other famous players, such as Thierry Henry and Robert Pirès, Kanu was a member of the “Invincibles”, the Arsenal side that finished the 2003–04 Premier League season undefeated. Kanu has been voted by fans as the 13th “Gunners’ Greatest 50 Players”. In the summer of 2004, after his contract with Arsenal ended, Kanu moved to West Bromwich Albion on a free transfer and became a regular in the starting eleven. He helped the club maintain its Premier League status for a few years before it got relegated at the end of the 2005-06 season. Kanu made a total of fifty-eight appearances for the club, scoring nine goals. Kanu’s next challenge was at Portsmouth. He joined the club on a free transfer and immediately made his way into the first team, finishing the season as the club’s top goalscorer with 12 goals. The following season, he scored the only goals in both the FA Cup semi-final against former club West Brom and the final against Cardiff City, to earn himself a third FA Cup winner’s medal. Kanu was meanwhile a member of the Nigerian national team from 1994 to 2010. In addition to winning Olympic Gold, he participated in the 1998 and 2002 FIFA World Cups. He won 86 caps and scored 13 goals for his country and was the joint most capped Nigerian player of all-time alongside Muda Lawal until Joseph Yobo surpassed both players in 2012. Kanu ended his international career on the 24th of June 2010, following Nigeria’s exit from the 2010 World Cup in South Africa. Kanu Nwankwo married his wife Amarachi in 2004 when she was just 18-years-old. The couple has three children together, two boys; Iyang Onyekachi Kanu and Sean Chukwudi Kanu, and then a girl; Pinky Amarachi Kanu. Kanu’s wife since getting married as a teenager has completed her education, first getting a first degree in Architecture, and then most recently an MBA. Kanu Nwankwo was once considered the richest football player in Nigeria during the prime of his career. Since his retirement, the former Super Eagles skipper has started a couple of businesses which mostly circle around real estate. He owns a number properties across Nigeria and elsewhere. They include Hardley Apartments on Victoria Island, a couple of houses and estates in Owerri, Lagos, Abuja, Dubai, and London. He also owns a few luxury cars including a Ferrari, Mercedes Benz, and Audi. It is unclear what exactly his net worth is but it has been estimated to be around $9million. Kanu is a UNICEF Goodwill Ambassador and has the Nigerian National Award of Officer of the Order of the Niger (OON). His struggles with a heart defect led him to create the Kanu Heart Foundation, an organization that helps predominantly young African children who suffer heart defects. Kanu intends to see that five Kanu Heart Foundation hospitals are built in Africa to ease the problem of undetected heart disease and corrective surgery. The foundation has further expanded to provide aid for homeless children. Kanu is a Christian and has often mentioned that his faith/prayers to God helped him throughout his career.